Coaches dedicated to maximizing athletic potential understand the value of squat based movements. It doesn’t matter where you look, a college weight room, a CrossFit box, or the personal training area of the local gym, squat variations and Olympic lifts are constantly being coached up. Helping athletes develop proper technique for these movements is the key to minimizing injuries and maximizing results. 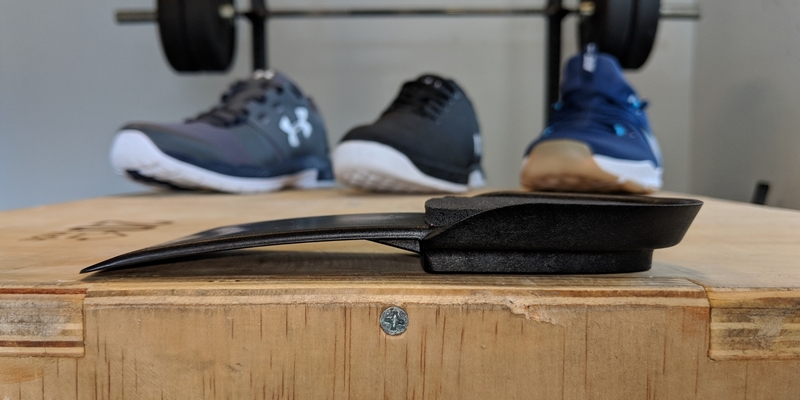 squatLIFTS shoe inserts are an alternative to Olympic weightlifting shoes that improve athlete mechanics by adding heel height to any cross-training shoe. Athletes simply slip them in for improved performance when a workout contains a squat based movement. Whether an athlete has anatomical issues contributing to movement challenges, or they just need a little help to achieve perfect technique, elevating the heels is a proven solution. By increasing the heel height, you increase available ankle range of motion and make it easier for athletes to train with solid technique. squatLIFTS are also designed to allow athletes to easily transition to the forefoot and stay explosive for all types of athletic movements. This makes them perfect for programming strength training together with conditioning movements. Are you a Team Strength and Conditioning Coach? Contact us today to discuss the sample programs available for High School, Collegiate and Professional programs.